Many products found at a typical grocery contain processed sugars that are not particularly healthy. The best option is to find products that contain all-natural sweeteners. However, these products may be hard for you to find or expensive. This means another alternative will be necessary. Homemade liquid stevia extracts are an ideal solution as an alternative to processed sugars. Adding homemade liquid stevia extracts to foods is a great option for many reasons. Extracts are really easy to use and are more healthy than using sugar to sweeten food. Stevia is a dietary supplement that is used all around the world to sweeten various types of foods and beverages. You may be surprised to learn that stevia has no calories and is even more sweet than pure sugar. Homemade liquid stevia extracts will provide a good solution to sweeten tea, coffee, yogurt, and other prepared foods. The key to making homemade liquid stevia extracts is using fresh stevia leaves. You can find stevia leaves at most health stores that sell herbs. Another option is to grow your own stevia plants. Making homemade liquid stevia extracts will require a few basic items. The most important will be the stevia leaves. You also will need a glass jar for storage A mason jar with a lid will do, but consider using small bottles with droppers to easily dispense the extract. You can add homemade stevia extracts to sweeten many types of foods. The best part is you only need to add a few drops as a little will go a long way. 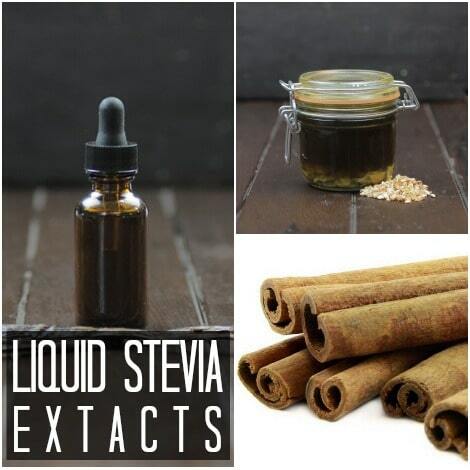 The best part of making your own stevia extract is that you can flavor it any way you like. Vanilla and orange flavored stevia extract are two popular flavors.